The Brahms clarinet quintet: a star of the chamber music constellation ! 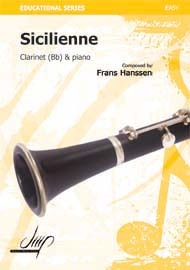 The clarinet has a wide range of chamber music to call upon. One of the most famous, and beautiful, pieces in the clarinet repertoire is the Brahms clarinet quintet. Inspired by a talented clarinet player who restored Brahms faith in the standard of clarinet playing in his time, this piece has gone on to become a favorite of the chamber music canon. The most amazing thing about the player who inspired Brahms when it came to writing for the clarinet is that he began his professional life as an orchestral violinist. Richard Mülfeld joined the court orchestra of Meiningen in 1873 as a violinist; he was the principal clarinetist of the orchestra four years later. Brahms and Mülfeld became good friends, with the clarinetist coming to influence Brahms ideas on writing for the clarinet. Brahms even put aside his plans to retire from music to write the clarinet quintet, which was premiered in December 1891. 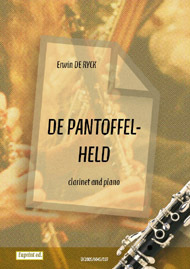 The quintet is not a virtuosic piece for the clarinet, but it is still a showpiece for the talented clarinetist with its exploration of the tonal qualities of the clarinet. Often available on recordings along with Brahms other chamber music masterpiece for the clarinet, his clarinet trio, the clarinet quintet is often regarded as Brahms greatest chamber music work. 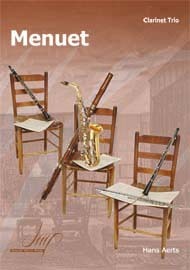 The best string quartets and clarinetists through the ages have performed and recorded this piece of music. This beautiful piece has even managed to move beyond the realm of music, inspiring an eponymous poem by Jan Zwicky.